Microsoft Windows is closed source and you seek an open source alternative. You want to check out what the hype on Linux is all about. 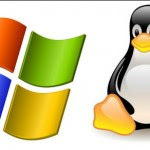 You are fascinated by the rock solid stability and security you will get in using Linux which is lacking in Windows. You seek change just like the American President Obama, albeit at a much more subdued, personal level. What ever your reason for ditching Windows, there is help at hand. Techradar has published 25 Linux tips for Windows switchers which makes an interesting read. The article starts from the basics of choosing the right Linux distribution, package management basics, and rounds off with a few tips on troubleshooting in Linux when you hit a snag.